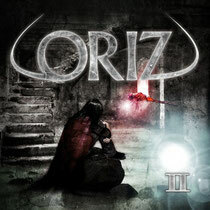 Swedish artist Oriz has released his 2nd album ’ Ⅱ´ from DOOLITTLE Group on November 13, 2011. If you like bands such as Rainbow, Deep Purple, Whitesnake but also newer bands such as Jorn, Gotthard and Edguy, you should check it out. The mastering process was done by Micke Lind known for his great work with DIO, TALISMAN, LION’S SHARE, GOLDEN RESURRECTION & DIVINEFIRE.